There are currently 36,557 users on this website. 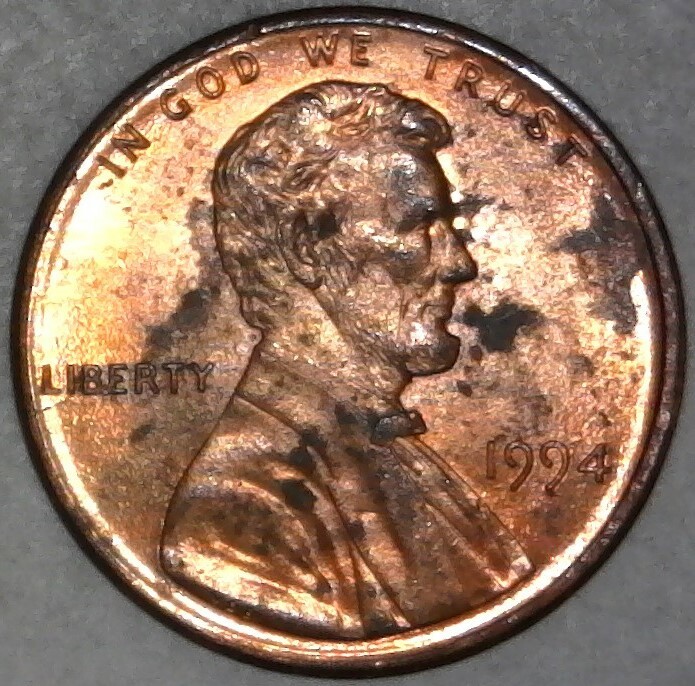 1994 P Lincoln Cent With Long Die Crack And Die Chip "IIbbieeirrit"
I found this in a mixed circulated roll, from a bank box of U.S. Pennies. This is so unusual and it is not listed on COC's. Although, I don't have the proper equipment and software, so I am not going to do a submission by email, as my pictures are not good enough. It's a cool find. Thank you Spence! 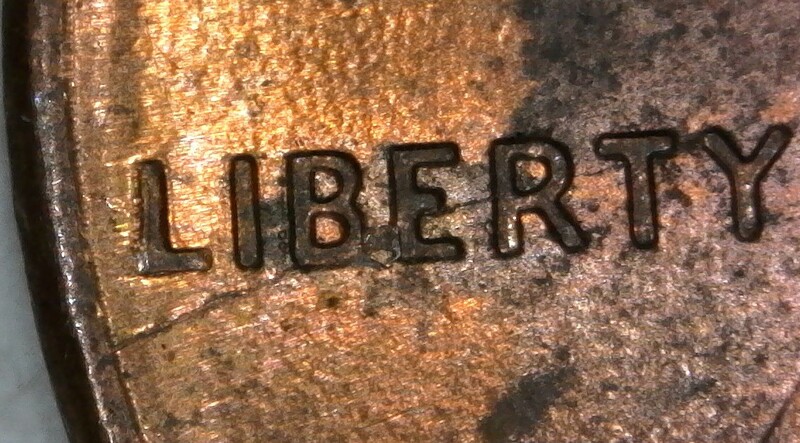 It's an interesting one and there's also a Die Chip in "BE" of "LIBERTY". 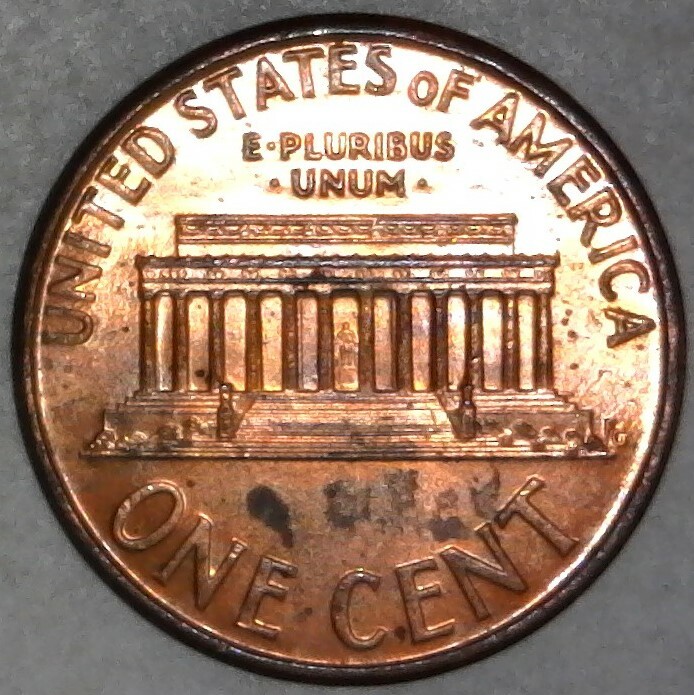 Cool find! I haven't seen a Die crack running through LIBERTY before. Thank you SilverDollar2017, CoinHunter27, and GrapeCollects! I have never found anything like this before until now. Although, I don't have the proper equipment and software, so I am not going to do a submission by email, as my pictures are not good enough. Yea, I have the same problem. I find several unlisted errors but they will remain unlisted cause my images aren't good enough. Same here 11997755. Someday, I will send a bunch in, so he can list it for me. Thank you Bate. It was one heck of a cool find! That's a nice die crack and I see the chip between B & E, but I am wondering how, exactly, that would be classified. Not sure Spruett001, but it's still pretty cool. Yours looks to be new , Congrats ! Thank you stoneman227! Mine is a new listing.